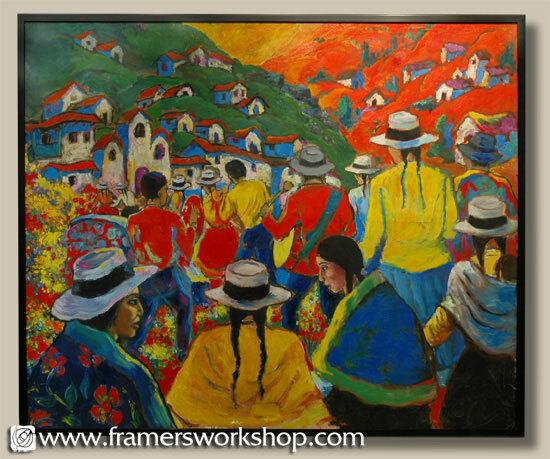 This brilliant Peruvian painting by Raul Picon was brought to us for stretching and framing. The piece was painted on burlap and required very gentle stretching as it was cracking in several places. A team of three framers worked diligently to successfully stretch the 66" x 55" burlap, framing it with a simple black wood by Larson-Juhl.